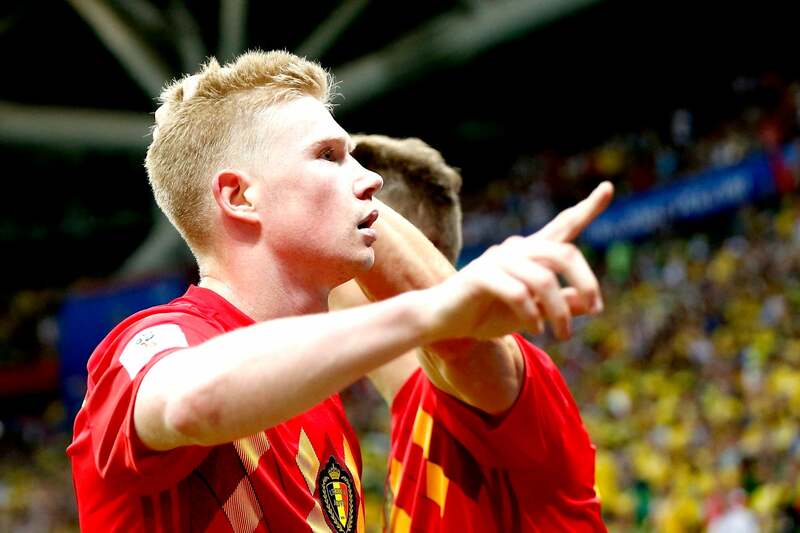 Roberto Martinez’s led Belgium side secured passage to the semi-final after beating the five-time World Cup winners Brazil 2-1 thanks to an Fernandinho own-goal, then a stunning strike from Kevin De Bruyne. Belgium grabbed the lead in the 13th minute when Fernandinho diverted into his own net from a corner. Brazil went close to pulling one back when Philippe Coutinho forced Thibaut Courtois into a good save with a fine effort from distance. A compelling first half ended with Belgium leading 2-0. Brazil had two penalty appeals rejected as they pushed to get back into the game early in the second half. Brazil did pull one back 14 minutes from time when Coutinho floated in a fine cross and substitute Renato Augusto guided in a header. Belgium will play France in Saint Petersburg on Tuesday. Brazil responded after the break and pulled one back through substitute Renato Augusto 14 minutes from time but Belgium withstood considerable pressure to hold on, although they were perhaps fortunate not to concede a penalty. That freed De Bruyne to play in a more advanced role and the City midfielder revelled in the space Brazil continually gave him. Brazil sought a quick response but Courtois comfortably dealt with Philippe Coutinho’s long-range strike and Fernandinho had a shot blocked. Brazil struggled to handle their pace and the second goal came just after the half-hour as Romelu Lukaku charged from deep and fed De Bruyne outside the area. De Bruyne went close again as Alisson tipped over a free-kick and Courtois ensured Belgium carried their advantage into the break by pushing away another Coutinho strike. Brazil were almost caught out as they pushed forward but Eden Hazard fired wide after another quick counter-attack. Brazil sought a quick response but Courtois comfortably dealt with Philippe Countinho’s long-range strike and Fernandinho had a shot blocked. Brazil came back again and finally replied when Augusto guided home a header from Coutinho’s expertly-floated cross. Brazil kept up the pressure to the end but Neymar, after having another penalty appeal rejected, could not beat the flying Courtois from distance. Jesus had a stronger appeal after Kompany’s challenge but again Brazil were denied.